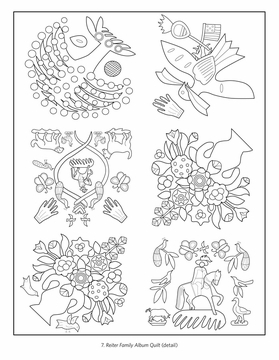 Published with the American Folk Art Museum. Maybe you’ve had the pleasure of taking a nap under a patchwork quilt, enjoying its bright colors and dazzling patterns as well as its warmth. 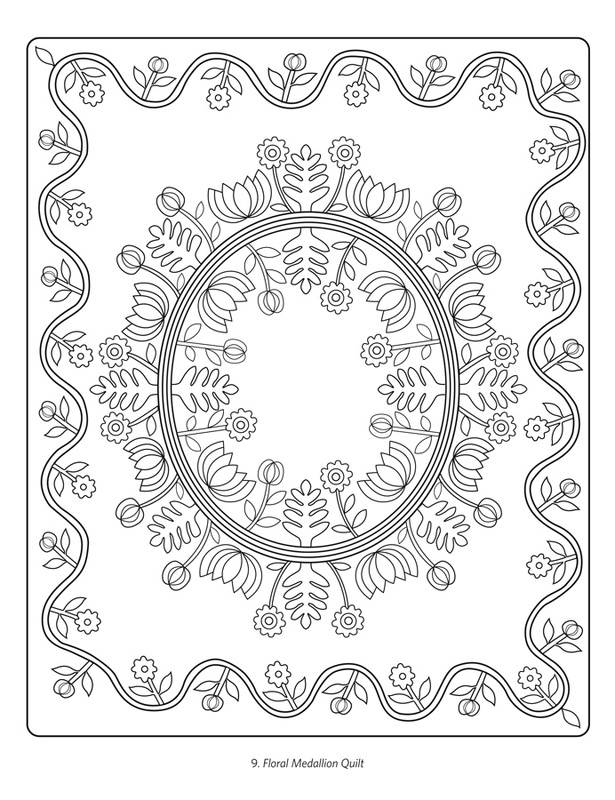 Quilts are often made by piecing together cloth shapes to create a quilt top, adding warm cotton batting and a backing cloth, and then sewing the three layers together with decorative needlework. This technique of piecing together bits of cloth allows for an almost endless variety of colors and patterns and often produces stunning designs. 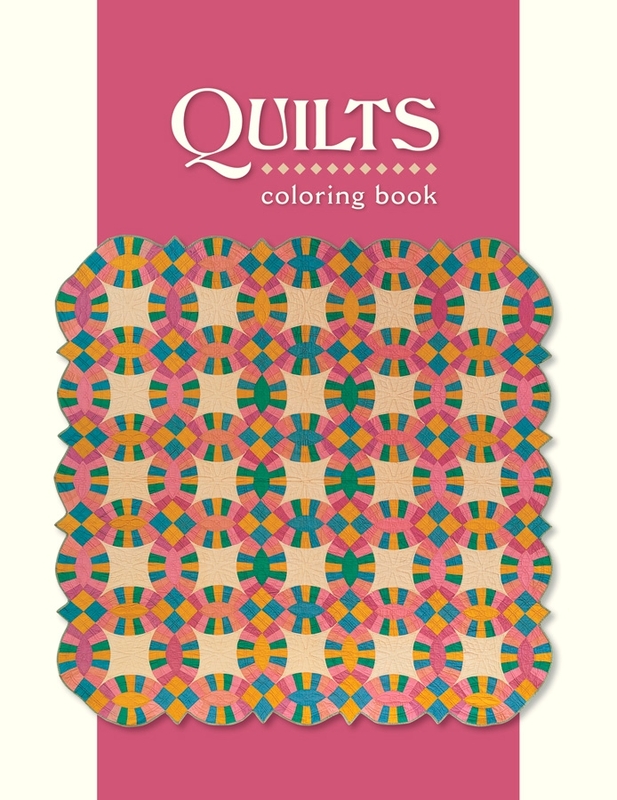 Quiltmaking is a traditional American craft. To this day small groups of women gather, needles and thread in hand, to stitch quilts—strengthening bonds of friendship and community while they create vividly colorful and unique bedcovers. 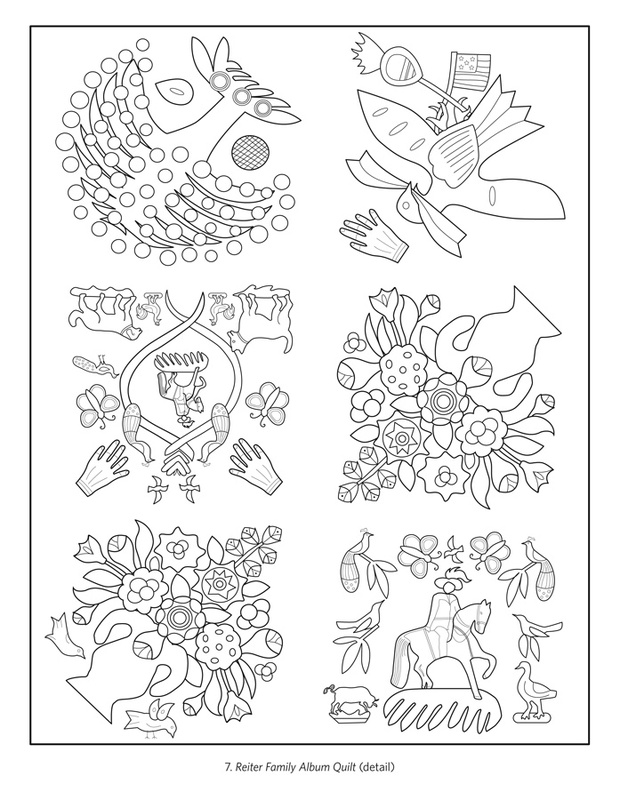 Most of the quilts in this coloring book were made by women in the eastern and midwestern United States sometime between the mid-1800s and mid-1900s. As you color in the outlines, take a moment to think about the women who stitched these quilts with love, precision, and creativity. Their intention was to protect their families from the winter chill and delight them at the same time. 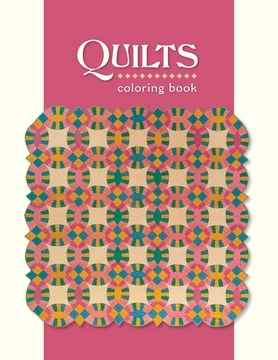 The 22 quilts in this coloring book are shown as small pictures on the inside front and back covers. 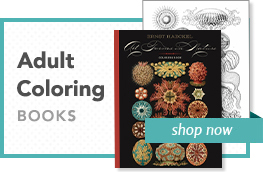 You might want to copy the original colors, or you might decide to use your own. 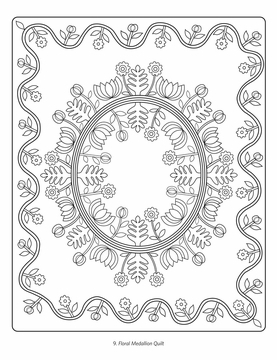 We’ve left the last page of the book blank so that you can design and color a quilt of your own.